So the clocks have changed & the weather is starting to heat up again which can only mean we've officially hit Spring! 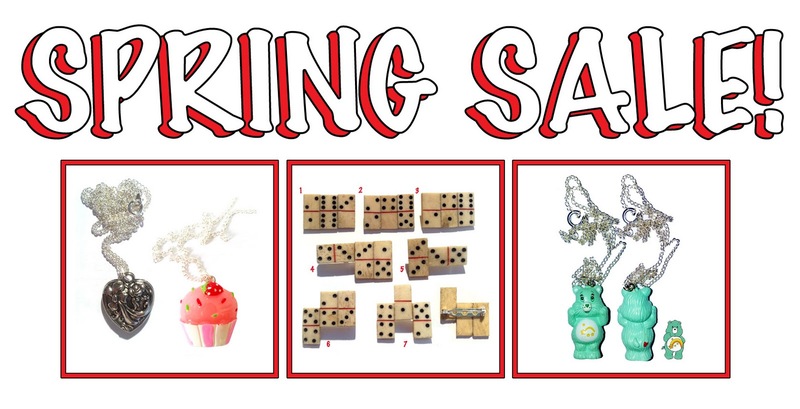 So in true house wife style we thought we'd have a lil Spring Sale to celebrate more daylight & the ever fast approach of the Easter holidays! So until the end of April or until stocks last we will be selling all of the products featured on our Accessories page HALF PRICE! 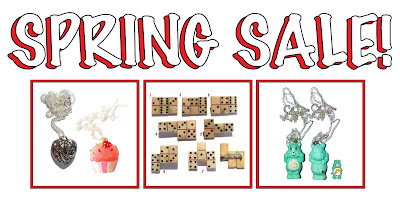 Such goodies include our Ice Cream Necklaces, Domino Brooches & Strawberry Muffin Earrings....& much more... Grab yourself a bargain as once they're gone they're gone! Due to the success of our Animal Letter Greeting Cards we have now adapted & recreated each letter so now you can have your chosen letter on your very own Oyster Card holder!